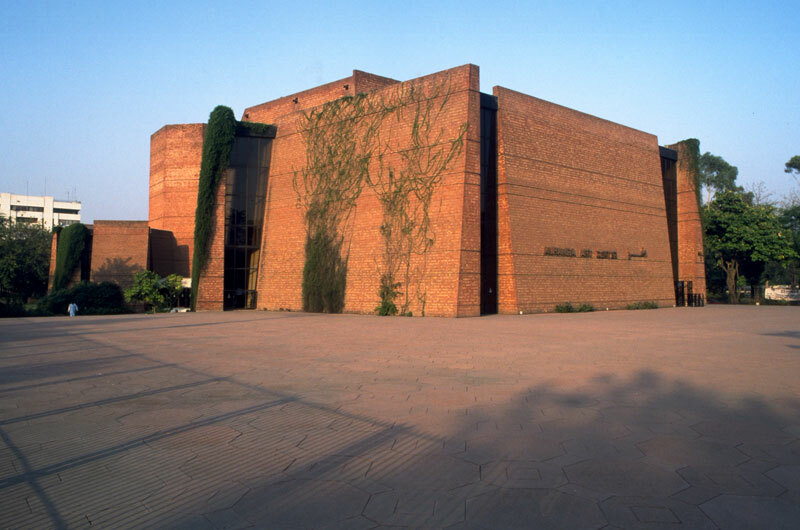 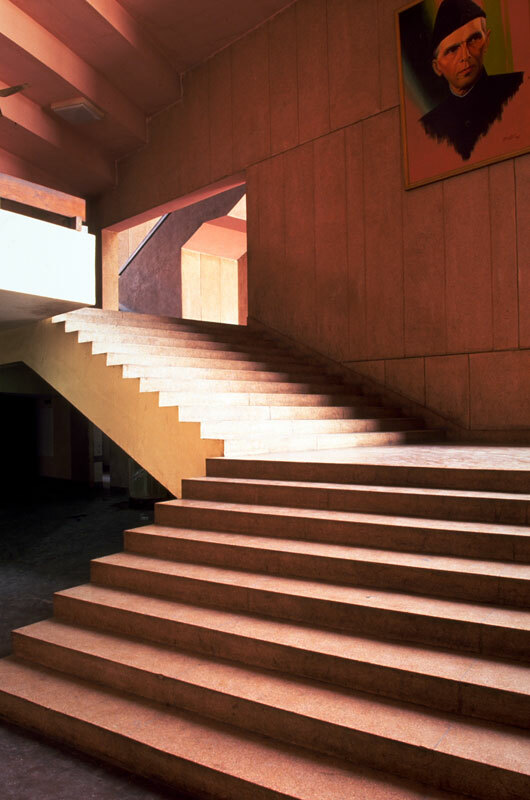 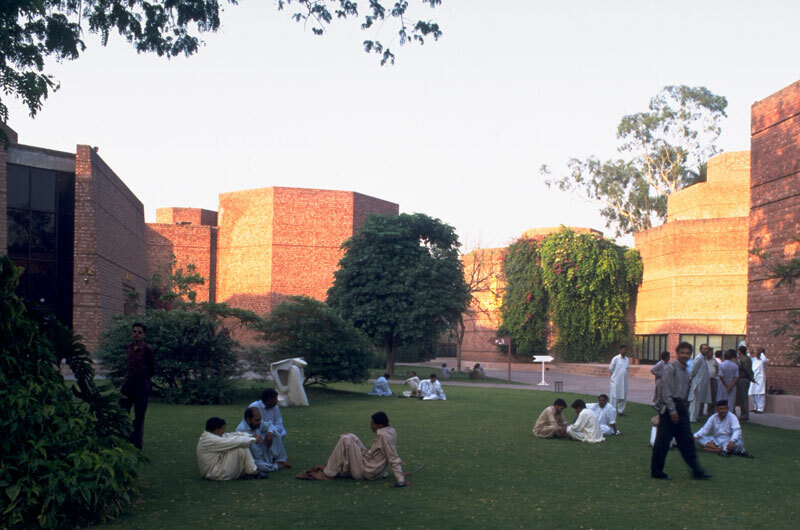 Exterior, main auditorium, Alhamra Arts Council, Lahore, Pakistan. 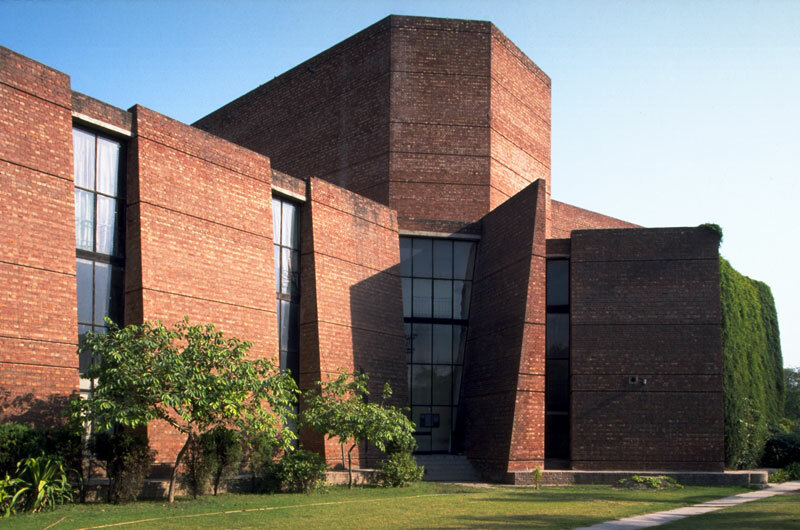 The complex comprises an 800-seat auditorium, a 500-seat theatre, an art gallery, and a music centre, housed in three separate wings; each based on octagonal forms. 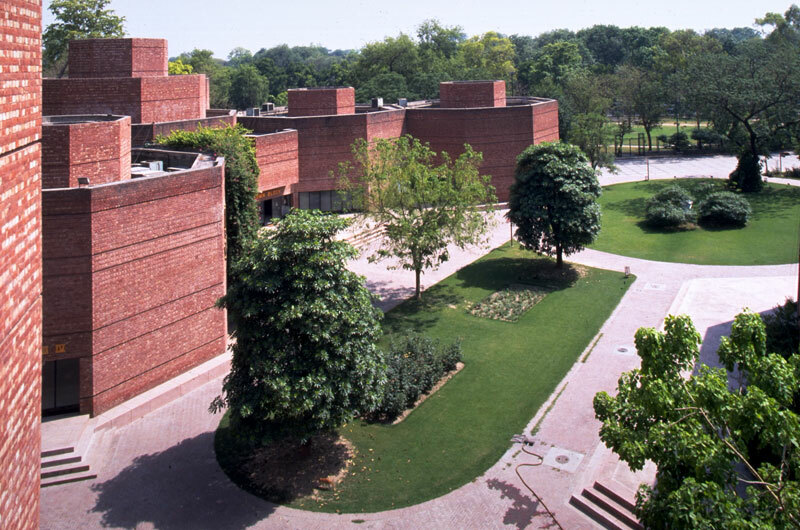 The structure is built of thick exposed brick and is reminiscent of Mughal forms.